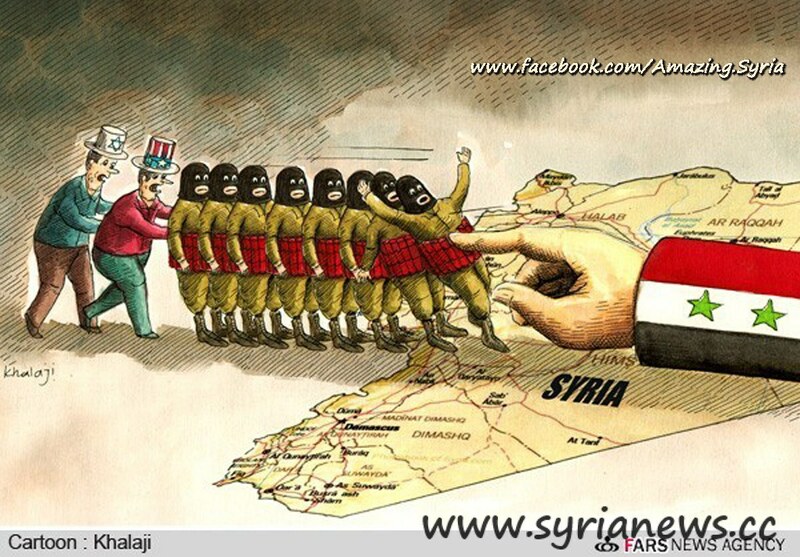 Has America Lost its Proxy War on Syria? What Now? Thanks to the indefatigable efforts of Iran and Russia, Syria is gradually recuperating a callous crisis wrought by Washington and its regional Arab puppets. According to an agreement brokered by the UN, Russia and Iran, foreign-backed militants left the Syrian city of Homs on Thursday and the city is now fully under the full control of government forces. “Old Homs is totally clean of armed terrorist groups,” a banner on Syrian TV read. “What has been achieved was a result of efforts that lasted for months starting through evacuating hundreds of civilians from the Old City and settling the cases of nearly 820 gunmen who have given up and handed over their weapons to authorities,” said the provincial governor, Talal al-Barazi. A country hitherto reduced to desperation and dereliction, Syria has sustained wounds which will take years to heal. Barely is there now any hope whatsoever for removing President Bashar al-Assad from power and installing a US-friendly regime instead in the country. That is a fact we can’t deny and nor can Washington. The naked truth is that Washington has by now relinquished all hopes for putting this pernicious plot into a practical shape. In fact, the foreign-backed militants fighting in Syria will soon have to leave the country with their tails between their legs. Interestingly, there is a mounting fear that the homegrown brainwashed European Takfiris in Syria many of whom hailed from Britain and France may now return to their countries with their overblown ambitions for inspiring terror and atrocity in their own lands. In other words, there is a great angst that chickens come home to roost. In an Op-ed for the New York Post, John Bolton, a former US ambassador to the UN, implicitly confessed to the manifest debacle of the West in handling the situation in Syria, their political ineptitude and gargantuan miscalculations on a systematic paradigm of regime change followed by Washington in different parts of the world. An amusing character whose knowledge of events is chiefly culled from the figments of his imagination rather than from the realities on the ground, Bolton has blatantly accused Syria of trying to use chemical weapons for a second time. By now, the entire world knows that the use of chemical weapons by Damascus is a threadbare lie and even the UN report pointed with all force to the absurdity of this claim by the West. However, Mr. Bolton does not bother to read or watch news and relies instead on his truncated perceptions. Or maybe he prefers to turn a deaf ear or a blind eye to the realities like his American compeers. The question is: when the West in cahoots with the Arab puppet regimes participated in a dangerous game in Syria, destroyed the infrastructure of the country, demolished the dreams of a nation, and caused the deaths of over 150,000 people including innocent women and children, were they fundamentally propelling a popular uprising in Syria? It is now more than naïve to presume that Washington entertains humanitarian objectives in Syria. Basically, the country was viewed as a definitive road to Tehran and a subsequent empowerment of Tel Aviv in the region much to the chagrin of resistance movements such as Hezbollah. As for Iran there is almost a general consensus that the country’s ‘nuclear weapons program’ is a lie invented by the US government to foment Iranophobia on the one hand and vindicate an eventual invasion of the country in the eyes of the international community on the other hand. Eilam who headed the Israel Atomic Energy Commission (IAEC) from 1976-1985 said, “The Iranian nuclear program will only be operational in another 10 years… Netanyahu is using the Iranian threat to achieve a variety of political objectives” and that he was pursuing his personal goals. After all, Iran does not need an Israeli to prove that it is pursuing a civilian nuclear program and that it does not have the least intention of using the achieved nuclear technology to produce nuclear weapons as the idea runs counter to the very principles upon which the Islamic Republic has been built. Besides, it violates the binding fatwa issued by the Leader of the Islamic Revolution Ayatollah Seyyed Ali Khamenei against the production and proliferation of nuclear weapons. Any Syria-style conceived plot by Washington against Iran is sure to end in failure– a more mortifying debacle indeed. In the final analysis, Iran is apparently seen as a geopolitical thorn in Washington’s side and any desperate attempt to remove this thorn will only intensify the pain.